It seems like everyone nowadays is into firewood. Whether it is for smoking meats, throwing it into a custom made fire pit or simply for decorating the home, if there is one thing we know, firewood is hot right now. But this is no new trend. In fact, it can be said that firewood is one of the oldest trends in the book. People have been using firewood for ages, for practical reasons like heating of homes as well as cooking. While using wood is an ancient practice, there have been many changes in the way we acquire our firewood. Of course there are the typical ways, flyers, signs on the side of the road, waving down the random wood guy. Until now. 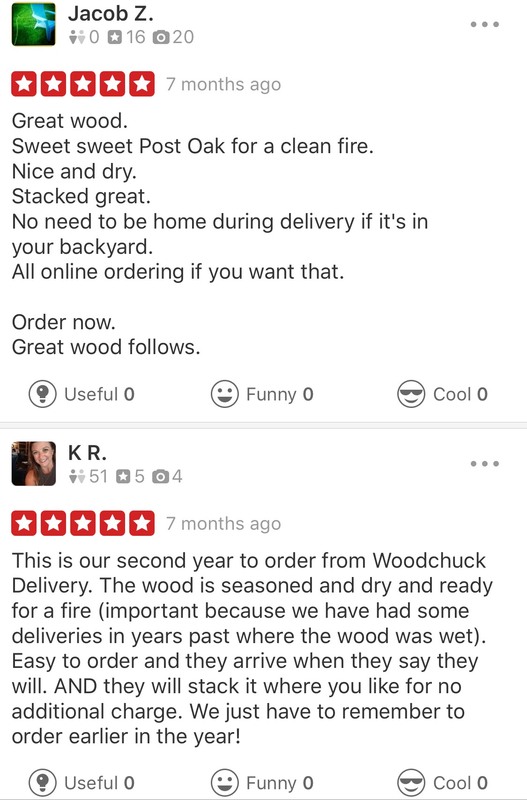 The Woodchuck Delivery Family in Austin, Texas is working hard to bring firewood delivery into the 21st century and here’s how. Woodchuck Delivery is a family owned, white glove firewood delivery company. We take the hassle out of firewood delivery. We are able to accomplish this by integrating technology and supreme customer service into our business model. 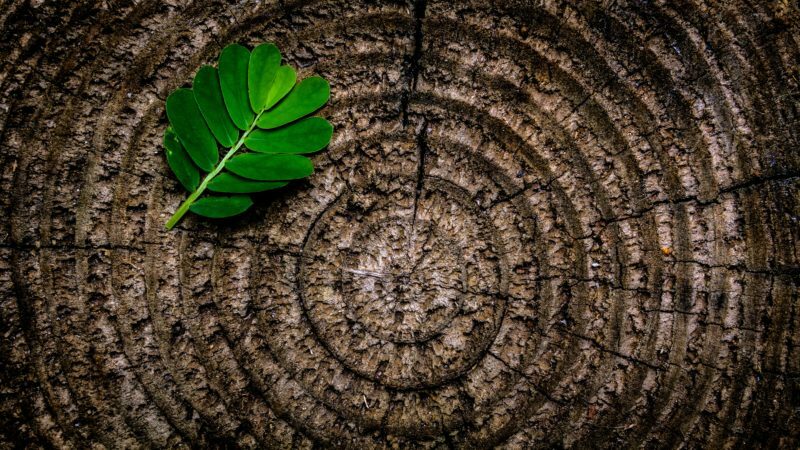 Our team understands the rich history behind firewood use and the sweet memories it brings our customers. We also understand the importance of convenience, quality, and dependability. We mix all of these factors together to bring you the modern day firewood delivery service. How? Is there such a thing? Firewood of high quality does not have moisture, which makes firewood difficult to light, and will not become a hotel for pests or fungi. We take pride in the fact that our firewood is seasoned (exposed to the elements) to perfection to insure the best product for our customers. We currently sell seasoned Post Oak, Pecan, Mesquite and Hickory firewood. If you are unsure of which type and quantity are best for you, our team is full of firewood experts and would love to help you make that choice. Do you need a rack to go with your firewood. Woodchuck Delivery is a one stop shop. We sell firewood racks in a variety of sizes, check them out! If you choose to order a rack, it will be directly shipped to your home in 3-5 business days where we will assemble it for you at the same time we deliver your firewood. Another way the Woodchuck fam has brought firewood delivery into the twenty first century is through custom projects. 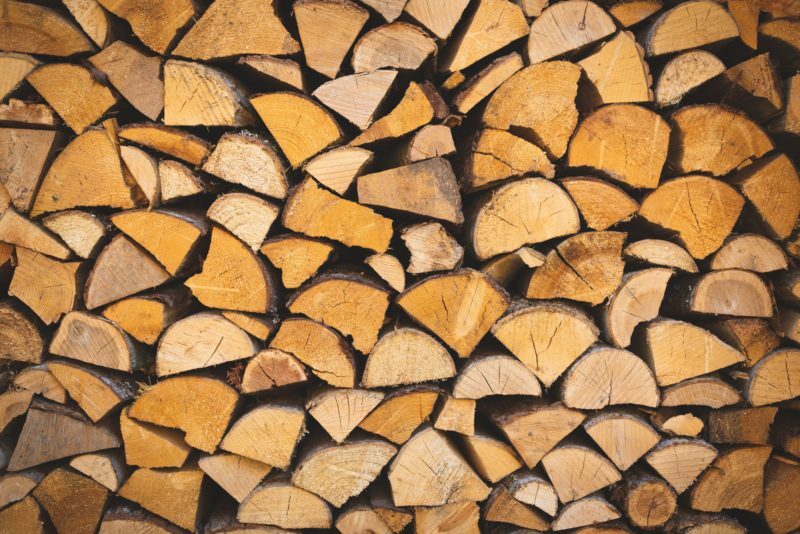 Fireplace and cooking are among the popular and more traditional uses of our firewood but those aren’t the only things you can use firewood for. Custom installations, wedding centerpieces, furniture, etc… if you have a custom project, we would love to be a part of it. We love the non traditional uses of our firewood just as much as the traditional ones. 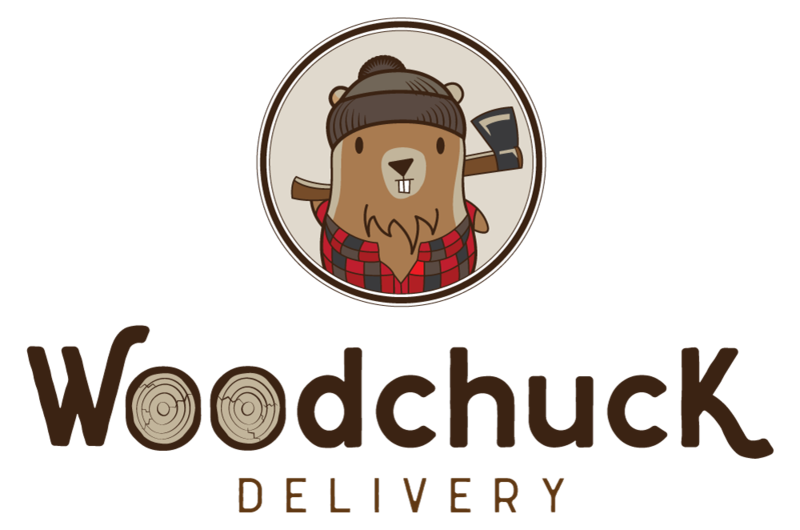 What makes Woodchuck Delivery different? When we founded the company in 2014, we knew we wanted to provide a honest service for our clients. We noticed a lack of ethics in the firewood world and we wanted to change that. Our customers shouldn’t have to worry about being cheated on the amount of wood being delivered or left wondering if their firewood will even be delivered. We take pride in working as a team to bring the best product and care for our customers. Our customers mean the world to us and our team is here to provide you with 5 star customer service. From promptly answering phone calls and emails, to cleaning up after every delivery we make buying your firewood seamless with our luxury white glove delivery service. Our clients know that what will be delivered is exactly what they ordered within our turnaround window, two to four business days (usually longer during our busy season). If there is an issue, we make sure to make it right as quickly as possible. We are in constant contact with our customers about their needs. We are known to switch out wood that does not meet our standards, stack the wood at no extra cost, and always try our best to provide whatever it is that you are looking for. There are a lot of wood guys and companies to choose from but with Woodchuck Delivery, you will receive the best product along with the best customer service. We will happily guide you through the steps of placing your order and make sure you are kept in the loop on the whereabouts of your firewood. We know that stacking firewood is not an easy task which is why we don’t want you to worry about it. We will stack your firewood in your garage or any other specified location, free of charge. Flights of stairs? Not a problem. Not an extra cost. We will follow your instructions on where you want the firewood, whatever they may be. You don’t even have to be at home for the delivery. You will find your firewood stacked neatly in its specific location without a trace that we were there. And yes, we always clean up after our deliveries so you don’t have to. All you need to do is pick your desired stacking location and leave the rest up to us. Need help deciding on a location for your firewood? Our customer service specialist would be glad to walk you through the best place to store your firewood. See what our clients are saying about their Woodchuck Delivery experience. We pride ourselves on having an extremely user friendly website. Both PC and mobile friendly, this allows you to purchase your wood from any location! Our interface makes it clear how much wood you are ordering as well as provides descriptive information on the types of wood and what they are best used for. You can also check out our blog articles for more a more in depth look at our different products. Simply select your wood volume, choose your wood type and check out. It is that simple. One of the special features offered by Woodchuck Delivery is the use of BRINGG technology. Think of it as the Uber of the delivery world. Once an order is placed, you will be added to our delivery schedule. Your delivery date will be two to four business days post order (this turnaround time increases during our busy season). When your firewood is out for delivery, you will receive a text message with a link directing you to BRINGG. In BRINGG you can track your delivery and communicate any special instructions with the driver, i.e. gate codes, stacking location, and any other information they may need but you forgot to add in the order notes. You will also receive a notification once the delivery is complete. We want you to have the peace of mind that your wood arrived when promised as well as the flexibility to not be home on the day of delivery. Bringg and its easy to use yet smart technology has enabled our level of customer service to match our quality of product. Our firewood is harvested responsibly which makes our firewood energy efficient and a renewable heating source. How do we harvest responsibly? Some people will cut green trees and season them but this is not a part of our process. We only cut dead standing trees off of landowners’ properties and leave the living trees standing. By following these practices, we keep our lots sustainable so we can keep providing you with the best firewood. Keep in mind that burning firewood emits less CO2 into the air versus burning fossil fuels. By using our firewood to keep your house warm or your summers fun, you are also keeping our air cleaner. While we might be in the business of trees, we are not in the business of paper. Going paperless has helped us stay organized, so we can better serve you, as well as cut down the use of paper in the office and the amount of receipts in your filing cabinet. You will receive your order receipt via email for your records. You will also receive an email about the next steps in our ordering process, like being placed on our schedule and how to use Bringg. Being able to embrace the marvels and conveniences of the modern age and marry them to an age old tradition has been a true accomplishment. Through the different technologies we use, we are able to make something so lovely and natural as firewood, accessible and relatable even in the modern eraTo say we love the work that we do is an understatement. Our use of technology in the firewood world has helped us deliver smiles all over Austin, Texas and surrounding areas. Everyone seems to have their own unique connection with firewood. We love hearing about them and bringing those memories back to life. They say smell is a trigger for memories and we believe almost everyone has a memory associated with the smell of firewood. Maybe it’s Christmas morning with your family or learning BBQ secrets with GradDad. No matter the memory and connection, we are honored to be a part of it. It fills our hearts to see the joy our products provide you, your family and friends. It has been extremely rewarding, taking something so traditional and meaningful and bringing it to the twenty first century for everyone to easily enjoy. Every time we complete a delivery, the customer is amazed by both our product and our process but most of all they are so excited to use their firewood. We brought firewood delivery into the twenty first century for just that reason. The smile on our customers’ faces.